It feels good to get back to crafting again after taking a nice pause this summer. 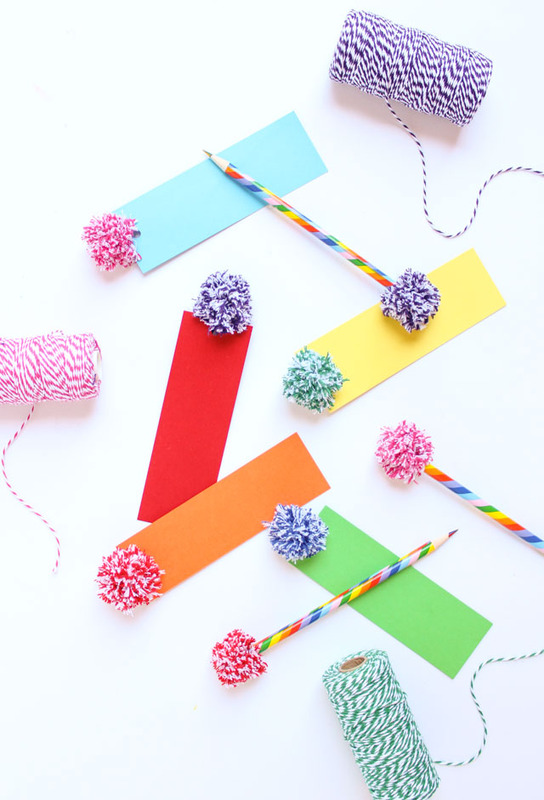 Of course, my first craft back from break would have to involve pom-poms, right?! And who knew that baker’s twine could make the cutest little fluffy pom-poms. I got to play around with baker’s twine for the September Supply of the Month Challenge with Oriental Trading. It is always fun to see what ideas the other contributors dream up with their supply. Check out all the baker’s twine crafts here! 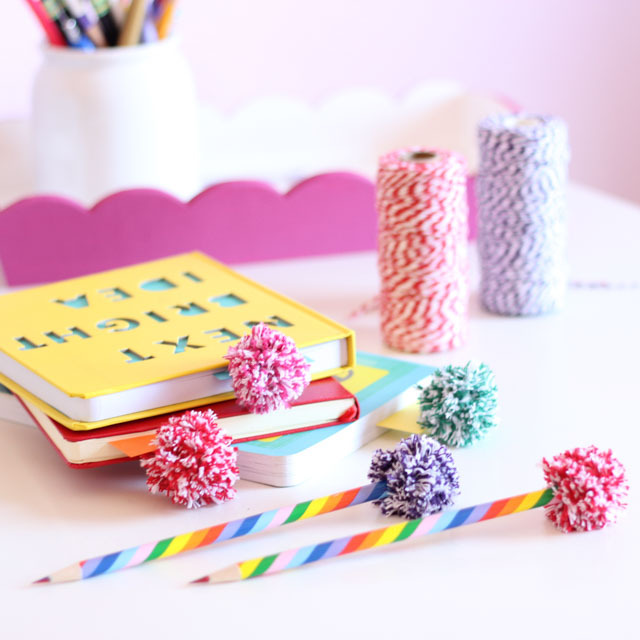 I decided to use my dainty pom-poms to make colorful bookmark and pencil toppers. Perfect for back-to-school or any time of the year! The variegated look created by the baker’s twine is just so pretty! I love that baker’s twine comes in pretty much every color of the rainbow these days. Oriental Trading carries a variety of different colors. When I saw these rainbow colored paper bookmarks (you can get a pack of 50 of these for $4.99!) and rainbow pencils I knew they would be the perfect pairing for my pom-poms. Seriously, it doesn’t get much cuter than seeing a little pom-pom peek out from the book you are reading! Head to Oriental Trading’s Fun 365 Site for the step-by-step baker’s twine pom-pom tutorial and the other Supply of the Month Challenge baker’s twine projects.